Excellent little brush. Perfect for blending and smudging. Wet n Wild have really stepped up their game with these new brushes. I haven't experienced any shedding and the bristles are stiff and tightly packed-- just what you need in a liner brush. 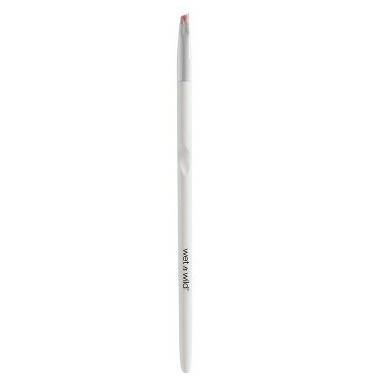 Perfect for applying gel liner, brow pomade, and darker eyeshadow close to the lash line. There's a little divot in the handle that makes it comfortable to use. Don't hesitate on these brushes!